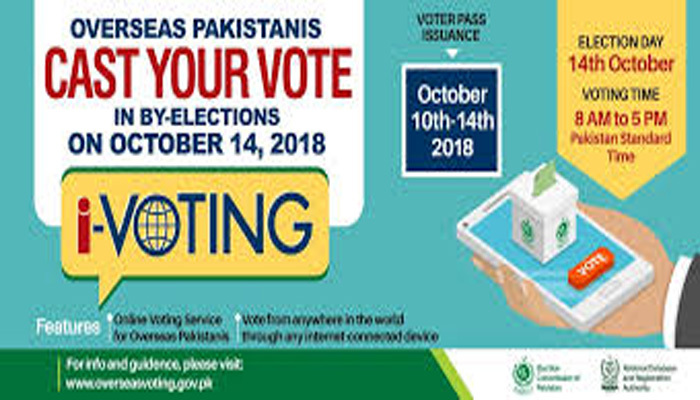 ISLAMABAD: The website dedicated to provide overseas Pakistanis with a right of internet voting sustained multiple cyber attacks, sources told Geo News. Voting for by-election on 35 national and provincial assemblies commenced at 8am across the country, with more than 300 candidates, including some political bigwigs, in the running. According to sources, the i-voting website sustained 10,000 cyber attacks simultaneously. The Nadra authorities were, however, able to thwart the attacks and the website from going down. The website did not go down even once in seven hours, sources added. The Election Commission of Pakistan (ECP) Director General IT Muhammad Khizar Aziz told Geo News that the website has been loading slowly due to a lot of traffic and that that it was usual in the case. The ECP website is working properly, he said. Seats up for grabs in the by-elections comprised 11 from National Assembly, 11 from Punjab Assembly, nine from Khyber Pakhtunkhwa, and two each from Sindh and Balochistan.